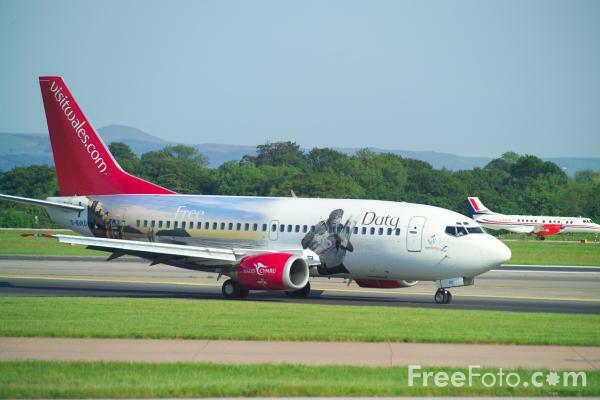 Photograph of Bmibaby Boeing 737-59D G-BVKD Aircraft. The Bmibaby logojet is in the Visit Wales livery. VIEW: More images from the category Bmibaby or around the same time .